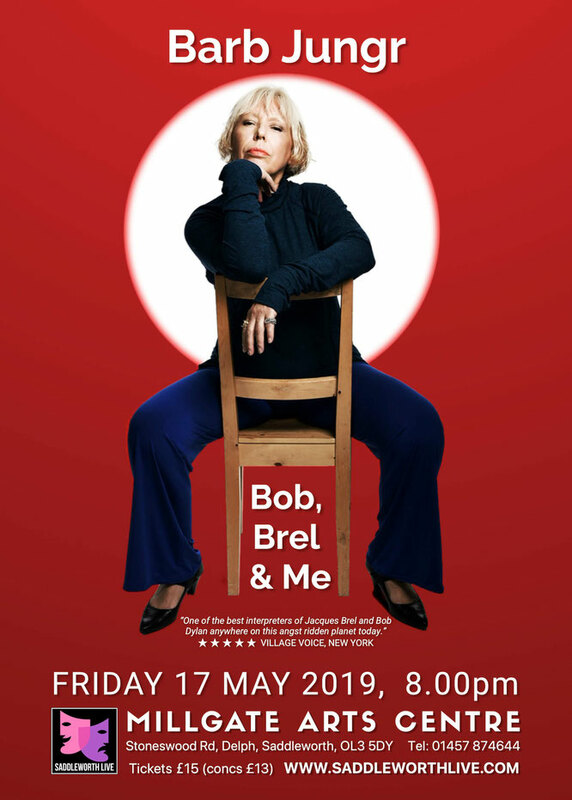 We are excited to welcome Barb Jungr back to the Millgate, premièring her new show, 'Bob, Brel & Me', in which she returns to her most beloved songwriters: Bob Dylan, Jacques Brel and more. Barb Jungr’s reputation as “one of the world's great cabaret singers” (Time Out New York) may have gone to her head, as she will now only sing songs by writers whose names start with the letter B. But this means she can return to two colossi of popular song, whose writing has helped define her whole career. A good plan, because she is "one of the best interpreters of Jacques Brel and Bob Dylan anywhere on this angst-ridden planet today” (Village Voice, New York). Bookings can be made in person, by phone or online. The box office (at Delph Library) is open Tuesdays 2pm–5pm; Wednesdays 2pm–7pm; Thursdays 1pm-6pm and Fridays & Saturdays from 9:30am–1pm. The box office telephone number is 01457 874644. Tickets must be paid for at the time of booking. You can select your seats at the time of booking. Tickets are non-re-fundable. 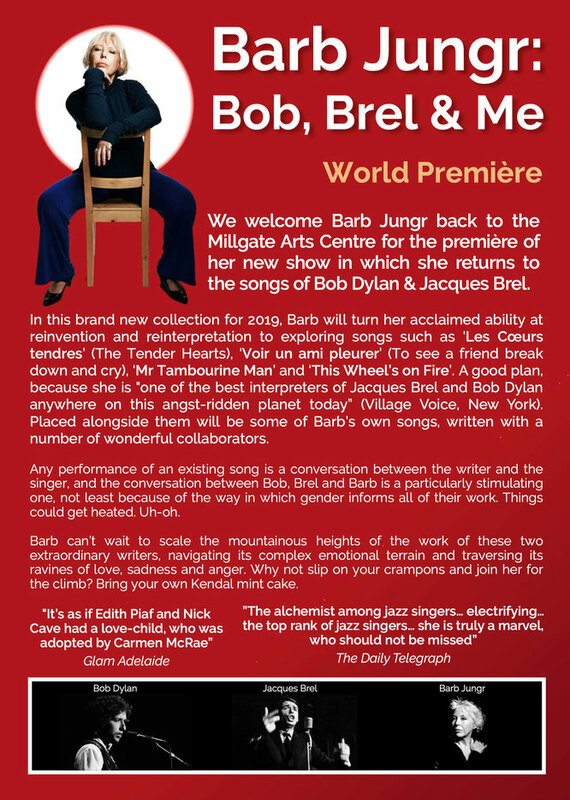 Barb Jungr's new jazz show featuring the songs of Bob Dylan, Jacques Brel and herself at the Millgate Saddleworth Live on 17th May.